The new community hall replaced two elderly, second-hand portakabins that had stood on the site since 1992. Construction started in April 2009 and the main structure was completed in March 2010. Our photo slideshow guides you through how the hall was built, from the pouring of the foundations right through to the finished result. This was the culmination of 10 years work by The Diplocks Community Trust. 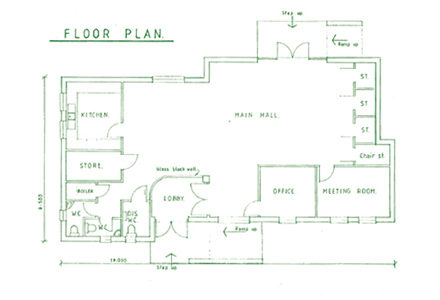 You can find out how we developed the proposal for a new hall on our history page.